In a future where the Solar System is ruled by a tyrannical government, a band of outcasts escapes to a star system light years away. There they discover an ancient human colony with a dark secret that threatens to destroy the Earth itself. You are all that stands between the Earth that abandoned you and it’s total destruction. 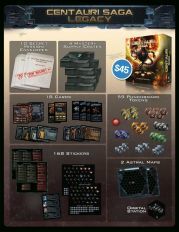 Take command of a ragtag space fleet and fight to save the Earth with nothing but a handful of outcasts and your ingenuity. Build, explore, and fight as you try to survive long enough to warn the Earth of the coming menace. What is a Legacy Game? 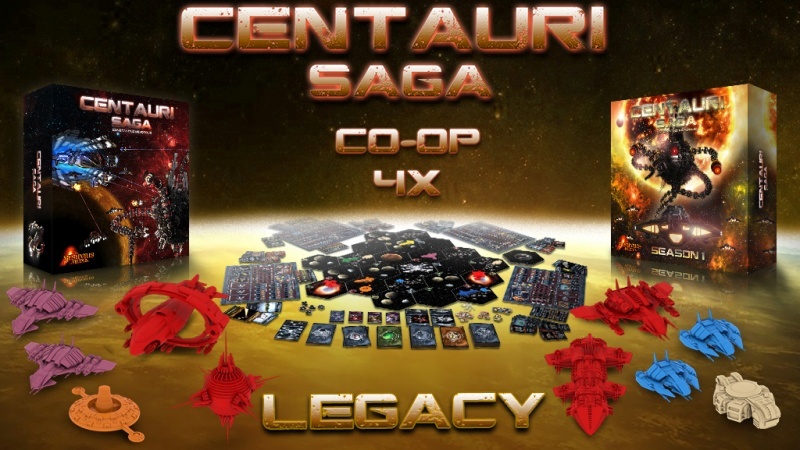 From BGG: "Legacy games are board games that change over time based on the outcome of each game and the various choices made by players. Players will often make physical changes to the board game by marking the board/cards and placing stickers over the board as well as often destroy components. The changes made in a Legacy game are always permanent, so what is done can not be undone." 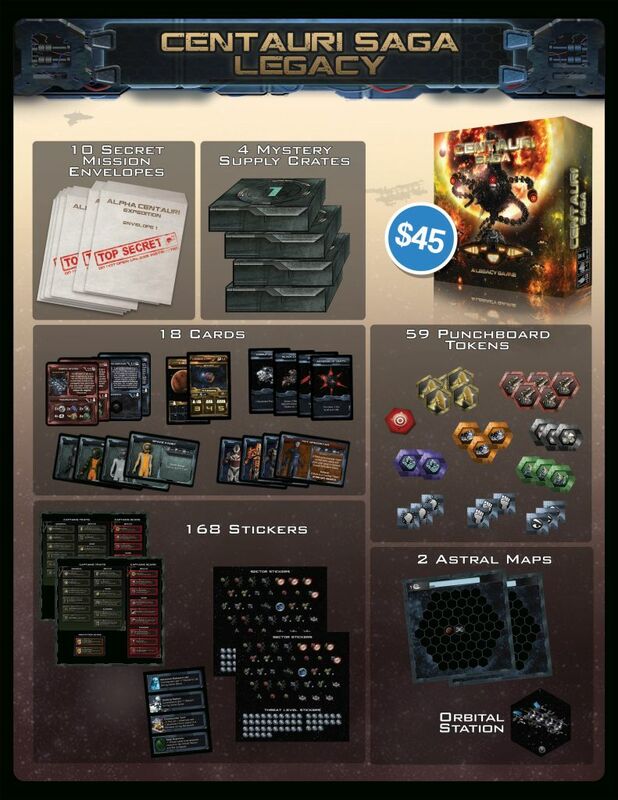 “Our main advantage while designing the Legacy campaign was the existence of the core game. Given its nature, and the ability to support various scenarios with completely different gameplay, we already had a very good foundation for our Legacy game. By incorporating all the comments from the community after the initial release of the project and by making certain changes to mitigate the luck factor. We removed most of the difficult balancing problems we had and ended up with a stable mechanism."